The Beastie Boys made a splash recently with their star-studded 30-minute extended music video for “Make Some Noise”, so it comes as no surprise that their new video is another home run. Directed by Spike Jonze, the video for “Don’t Play No Game That I Can’t Win” follows the exploits of everyone’s favourite Beasties — only this time in G.I. Joe form. With lots of fun movie and vintage Beastie references, fantastic typography and more, this could be one of the best videos of the year. 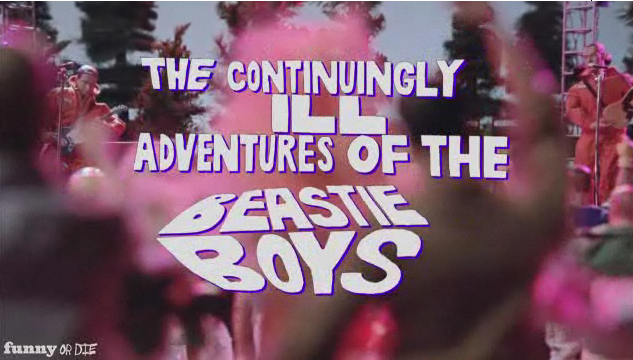 It’s certainly great to have Jonze back in the directing chair with the Beasties (having directed a handful of videos for the group, including the instantly classic video for “Sabotage”). This one is a must-see, so check it out below!